Going where we're least expected. It all started when we met with Xavier Veilhan, a consummate multidisciplinary artist, and one of the very first to own Phantom. We found ourselves at the crossroads between contemporary art and high technology, committed to serving artists and their music. Chosen to represent France at the 57th Venice International Art Exhibition, the artist has created ‘Studio Venezia’, an immersive installation conceived as living architecture that explores the recording studio as a creative platform. Throughout the Venice Biennale, from May 13 to November 26 2017, Xavier Veilhan will invite more than one hundred artists to come and create in the ‘Studio Venezia’. The public is welcome to share this unique moment of artistic dialogue, unaware of what they'll witness in advance. The history of music is linked to the history of technology: electricity has allowed it to be amplified and then stored. The fullness of portable music could not be truly appreciated without a tool powerful enough to achieve perfect playback. At Devialet, we facilitate creativity in all its forms, inventing the best sound amplification technologies in the world. So that the slightest intention of creators, musicians, singers and sound engineers can be reproduced with absolute fidelity. Every last emotion, rendered flawlessly. We are immensely proud and honored that Xavier Veilhan chose us to be part of his art installation, and to be at the heart of a creative initiative dedicated to music. 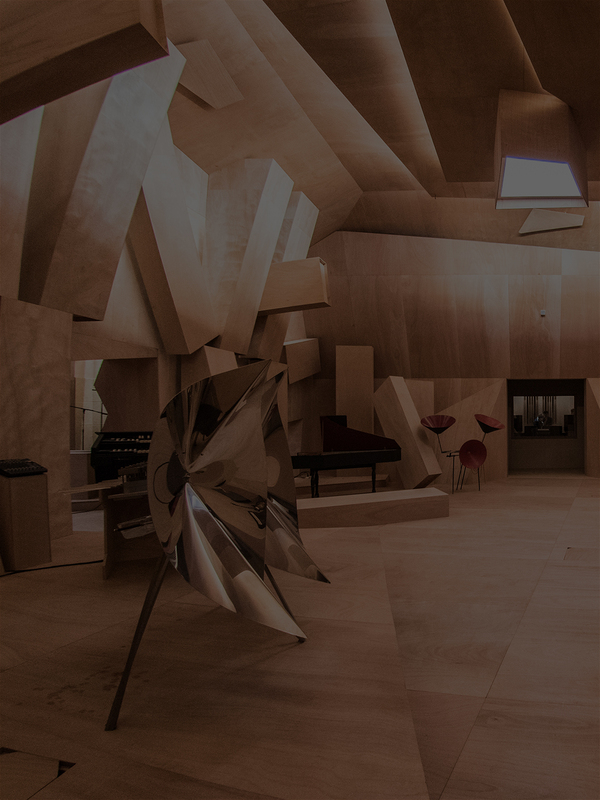 The experimental space designed by Xavier Veilhan using Phantom will enable the half-million visitors to the Venice Biennale to experience an extraordinary artistic and musical encounter – between formal classicism and absolute modernity.